Spring wall decor ideas are everywhere! If you are looking for some ideas to spruce up your home this spring, we have got you covered. One of the easiest ways to make an instant impact is by updating the wall art. Bare, boring walls can easily take a center stage with the addition of some creative decorations. But before you run out and spend a fortune of new pieces, take a look at these creative and colorful wall decor ideas to capture the spirit of the season. Instantly update the walls with ready-made carved ceiling rosettes. Made of wood or urethane they are lightweight and very easy to hang. You can let your imagination run wild. Either go for repetitive elements for a playful touch or combine them with mirror lighting to create a modern effect. Available at almost all home improvement stores for cheap, you can pick them in various sizes and colors. Here are some ideas to decorate your spring home with accessories. Spring is so much about fresh flowers and intoxicating fragrances. So how about stenciling some gorgeous flowers on your bedroom walls and bringing out the artist in you? If you are not very confident about doing it yourself, you can hire a professional. Creating bold, colorful patterns on the walls is a great way to bring the wonderful season into your space. With the flower motifs inscribed boldly on your bedroom wall, supplement the required green in the form of upholstery and accent pieces. 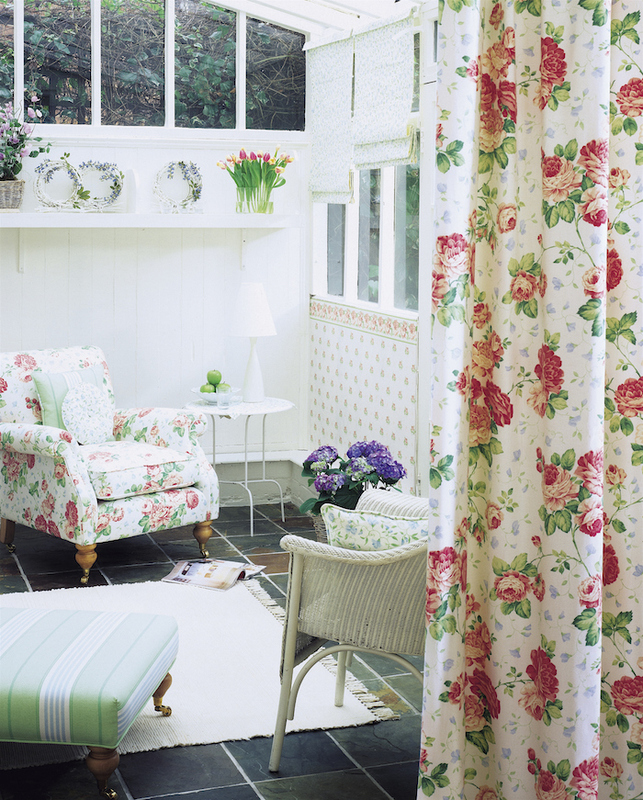 We like these floral wall decorating ideas from Martha! To create a kitchen that’s full of life and color, bring in some artwork. You can use it in various forms such as handcrafted tiles on the kitchen backsplash, some interesting lighting elements and lamp shades, displaying rich chinaware on the walls, bringing in a nice piece of clock, or hanging beautiful paintings or even displaying your little ones artwork interestingly. Looking for some more inspiration? Read on: Kitchen Ideas: Infusing color into your interiors. Give any room a fresh look with these simple wall decor ideas. They are not only fun and fascinating but can also be a great way to bring the family together over the weekend. So, which ones are you incorporating this season? These are absolutely fabulous wall decorating ideas! I really like all the wall decorations. So creative! Keep up the inspiring ideas.